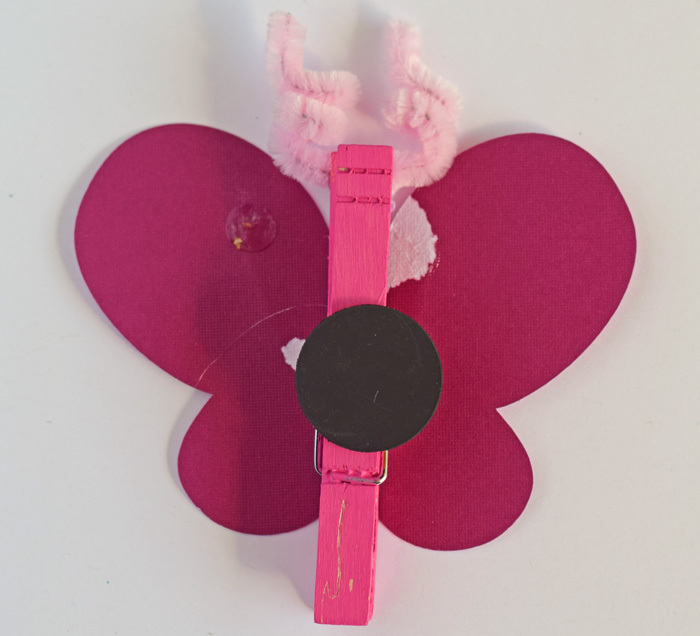 This Butterfly Magnet Clip is a fun kid’s craft that will add a little spring to your office space or refrigerator. Thank you to CraftProjectIdeas.com for supplying several of the items for today’s craft. I love kid’s crafts that are useful AND cute! This DIY Butterfly Magnet Clip definitely fits the bill for both. 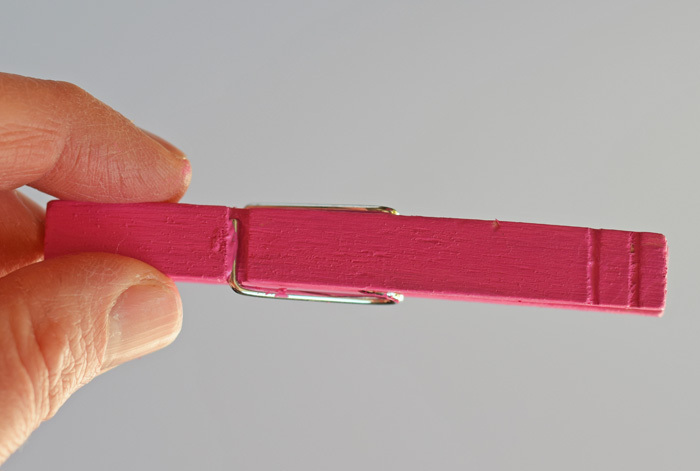 The clip is made with a clothespin, which is perfect for hanging artwork, reminders, or (uh!) bills. Take apart the clothespin. Paint the wood pieces. Let them dry thoroughly. Carefully put the clothespin back together. 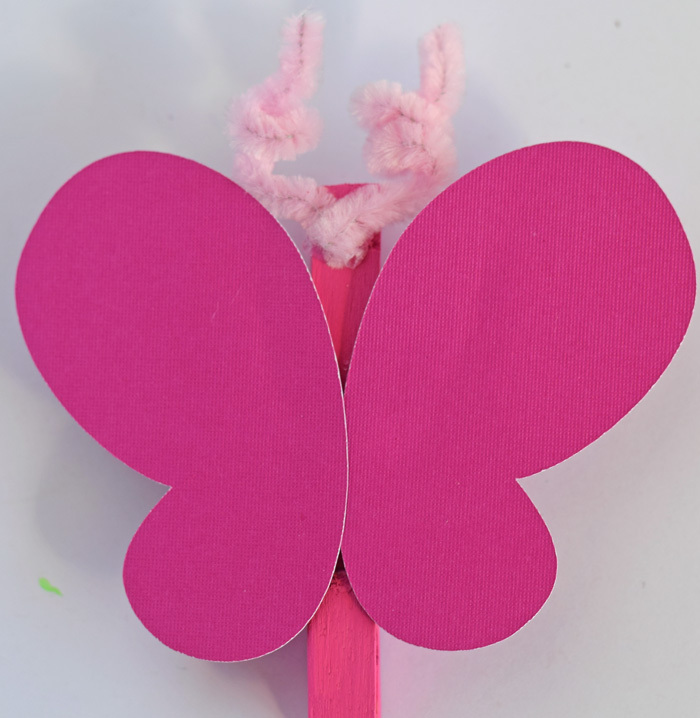 Use the glue to adhere the butterfly wings to the top of the clothespin. Cut the half of the fuzzy stick in half again. Curl fuzzy stick portions around your little finger. Glue them to the top of the clothespin, right above the wings. For the butterfly wings, free hand draw your own or let your child draw them and cut them out. If you have a cutting machine, like a Cricut, you can use that to cut out the wings, as well. Flip the clothespin around. 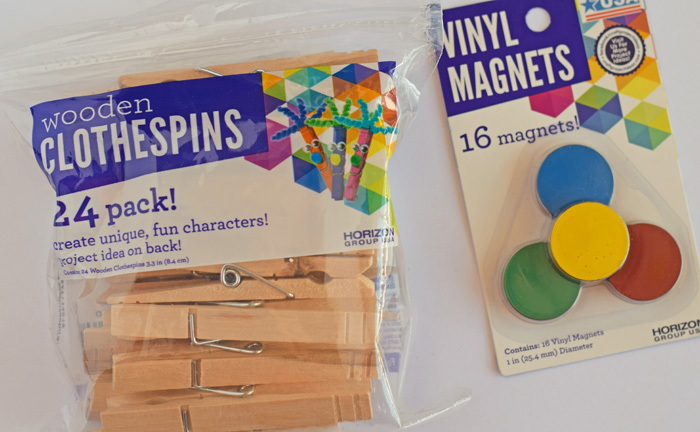 Glue the vinyl magnet to the center of the back of the clothespin. Make them in a variety of colors to have a butterfly garden on your refrigerator or magnetic surface. 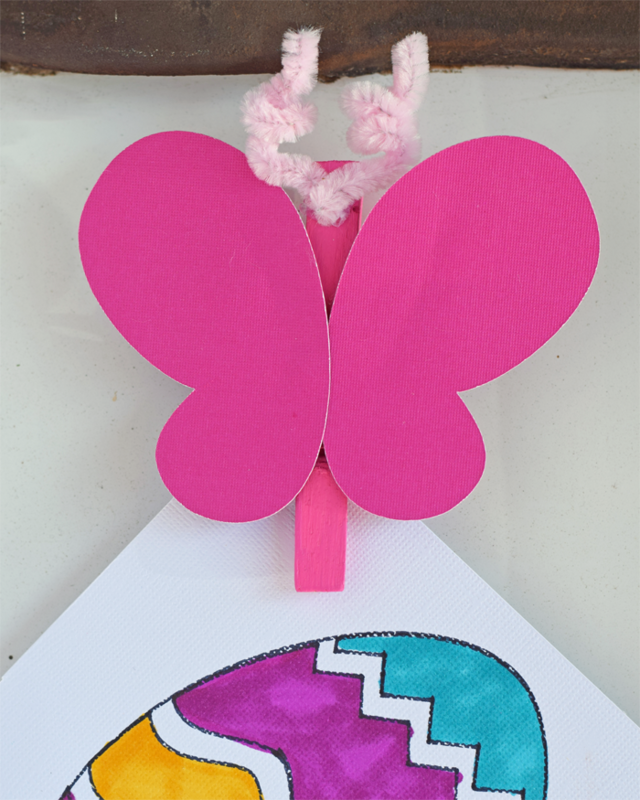 Add this craft to your spring themed party or play date for the kiddos. These would make neat take home projects from for a kid’s party, too. I know lots of kiddos who would love a butterfly themed party! 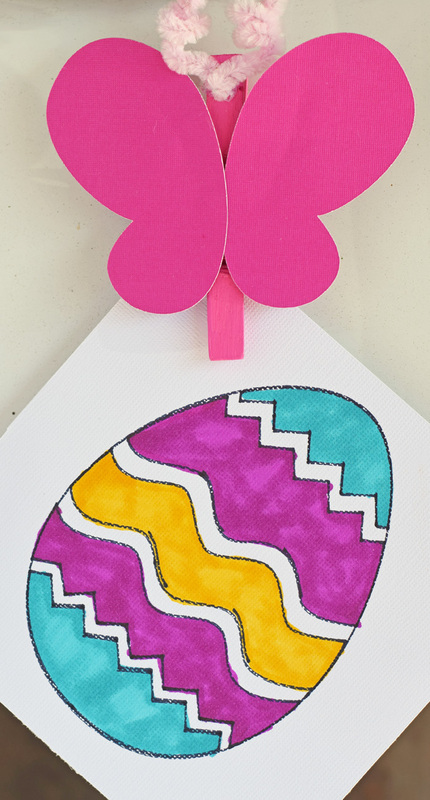 If you own a Cricut and like the Easter egg coloring sheet showcased in this post, check out the tutorial to make your own! Butterflies are my favorite! I would make these fro my spring decor.